Lately I can't seem to get my mind off of brunch. I just love brunch - anything goes, sweet or savory, and for some reason, if you call it brunch, it's perfectly acceptable to start drinking before noon. What's not to love? Between Easter and the Azalea Festival coming up, I will have a few rotating house guests, so of course I need to have some great brunch ideas in my back pocket. Every brunch starts with a great cocktail. 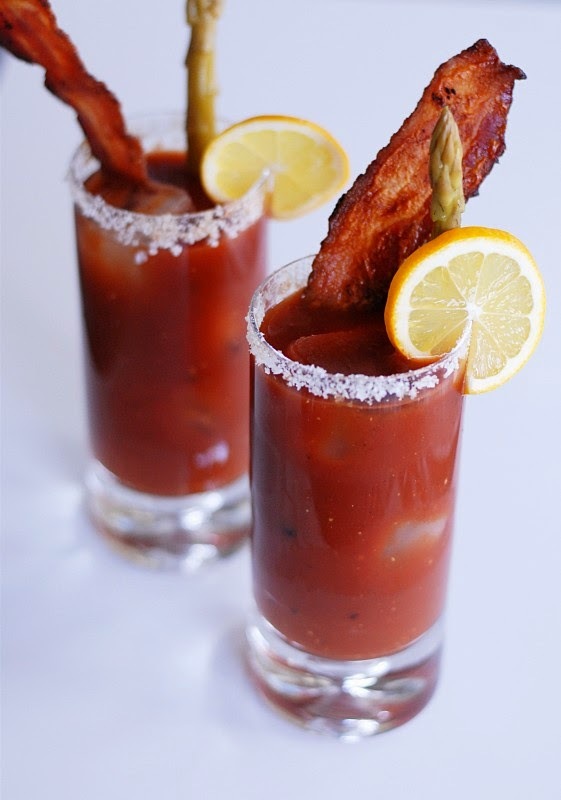 Isn't this Bloody Mary gorgeous? If there's bacon involved, you can pretty much sign me up. 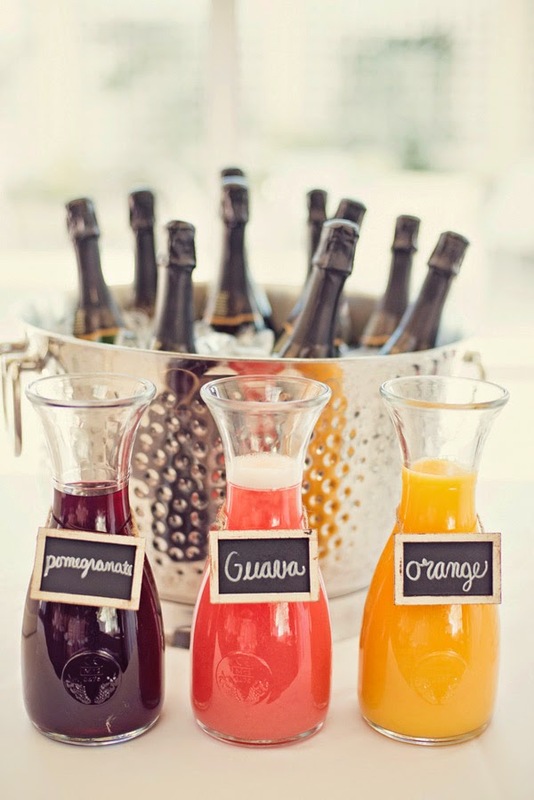 For a larger group, I love the idea of a mimosa or bellini bar. I think I would make a few different fruit purees (think peach) or syrups (strawberry rhubarb). For brunch, the more you can do in advance the better - especially if you have house guests. 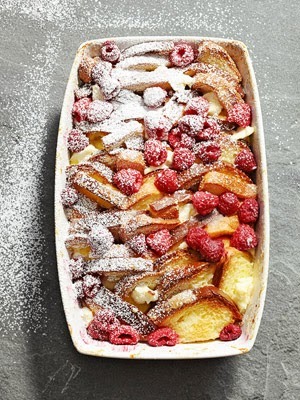 Breakfast bakes are always a great option, like this French Toast Strata. 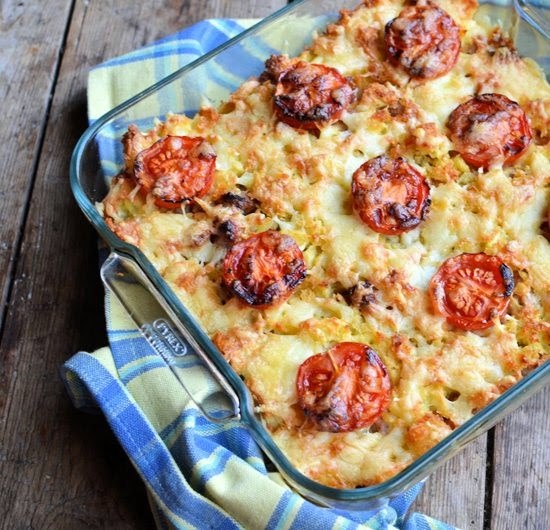 A savory option, like this Overnight Bacon and Sausage Casserole, is always a crowd pleaser. Just like the menu, anything goes with the table setting. 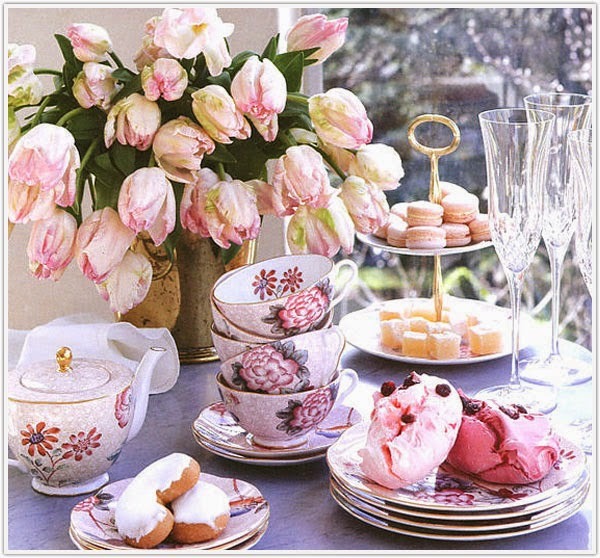 I'm dying to break out my grandmother's frilly pink china pattern for a ladies brunch. 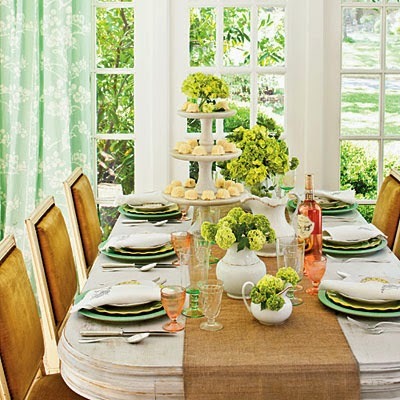 I love a bright and airy table too, with fresh flowers from the yard. Happy Friday Friends! And Happy Brunching! I love mimosas at brunch!! Bottomless mimosas are even better ;) I've never been to a brunch that has a mimosa bar though - I'd love to try a blood orange juice mimosa!! I love the mimosa and bellini bar! Pinned it so I can try it out for Easter weekend when we'll be entertaining friends!